Visit kiakiagas.com on your computer or mobile phone. Choose the cylinder that suits your need and select your preferred payment option. Complete the checkout process, and we deliver to your doorstep in quick time. KiakiaGas is your No 1 supplier of Cooking gas in Nigeria. We offer free delivery of cooking gas to every home anywhere within 45minutes. To get started, simply make your cooking gas booking online via our website. I was surprised to receive a call 45 minutes later after I placed my order that it was at my door step at 10-pm. Kiakia Gas truly has an impressive logistics network that actually works. I've told all my friends about Kiakia Gas. 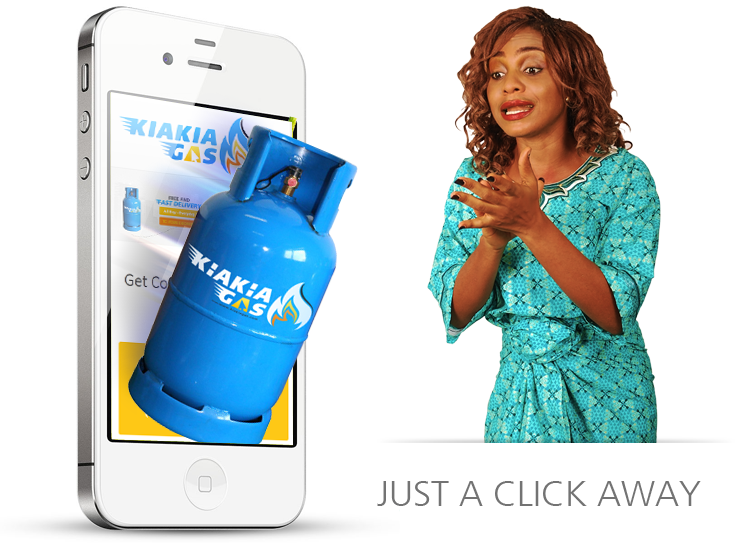 Experience they say can never be created but can only be obtained of which i got with Kiakia Gas. From the cheerful customer service to the dispatch driver to the quality of service, my shopping experience was seamless and hassle free. Kiakia Gas is an innovative idea which has given me the opportunity to order for my gas refill from the convenience of my home while its delivered to me within minutes.